In the majority of all car accidents, the driver who is responsible for causing the accident has to pay for all of the damages. That’s the easy part. However, determining who was at fault for a car accident can be frustrating, complicated, and lengthy. In many cases where a driver thinks the accident is the fault of the other driver, they’re shocked to find out that they share partial blame for the accident. That too, can complicate and extend the claim investigation and settlement process. Further complicating the claims process, insurance companies are not required to come to the same conclusions as police officers and accident investigators regarding fault. They often conduct their own investigations and come to their own conclusions. The damage left on a vehicle after a collision can be an important piece of evidence to help both police investigators and insurance adjusters determine who was at fault. But before you decide to look at the location and type of damage on your vehicle to help you determine fault, make sure you or your insurance company have followed the following steps first. Review your police report carefully. Note any traffic citations or violations of the law involved in the accident. If the other driver was ticketed for violating a traffic law, the chances are high that he or she can be held responsible for the car accident. If no police were present but you witnessed the other driver violate the law — such as speeding, running a red light, or running a stop sign, you should make sure that the police investigator and your insurance company both know this. Was this a rear-end accident or a left-hand turn accident? In many rear-end collisions or accident involving a left-hand turn, the driver who hits the other car from behind is usually at fault. Not always, but there’s a strong correlation. If this is the type of accident you were involved in, make sure your insurance company knows and understands that this is how the accident happened. Review all the evidence of the accident. Because there are hundreds of thousands of car accidents on Texas roads every year, sometimes police officers and insurance companies miss important details. If you have photos of the accident that you have not shared with your insurance companies, review those photos and if possible, ask a lawyer to look at your case and the evidence that you might have. It’s also important to find out if the statements of the witnesses to the accident are appropriately recorded or represented in the accident investigation. The physical evidence from the accident will also play an important role in determining fault. This is where carefully looking at the damage to your vehicle and documented the damage can help your case. Be sure to take pictures. Check in with an expert. If you’re convinced that you were not at fault but your claim has been denied or delayed, check in with an expert, who can give you a second opinion. Your best option is to consult with a trusted lawyer who specializes in personal injury and car insurance. A qualified Houston auto accident attorney will be able to review the facts of your case, objectively look at the damage to your vehicle, and help you find new sources of evidence to corroborate your story. 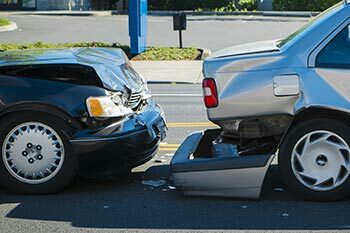 Often, lawyers will also seek expert opinions from collision and auto repair experts that can provide a much a different perspective than what is offered by both the police and the insurance companies.